This object is currently on display in room 107 as part of Tablescapes: Designs for Dining. This object has no known copyright, and as such we offer a high-resolution image of it. See our image rights statement. This is a Drawing. It is dated late 18th century and we acquired it in 1911. Its medium is graphite, pen and black, brown ink, black crayon on cream paper. It is a part of the Drawings, Prints, and Graphic Design department. 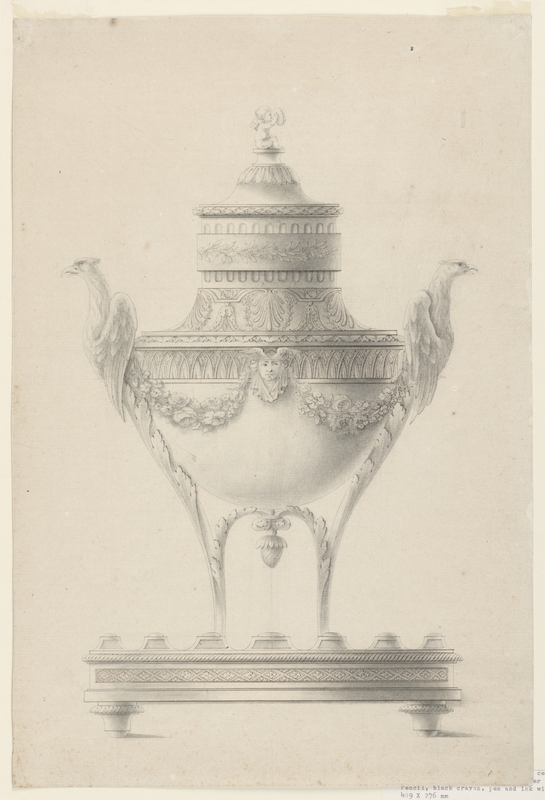 The urn form, anthemia decoration, and heraldic birds in this drawing show the strong identification of the new French republic with the classical era. This object was catalogued by Carey Gibbons. It is credited Purchased for the Museum by the Advisory Council.